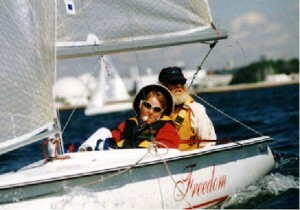 Disabled Sailing – "The Sailing Center"
Who wouldn’t love to sail? That was the thought of Dennis Peck, President of the Charlotte Harbor Community Sailing Center. Yet he knew that the disabled in our community were unable to participate and enjoy sailing due to the need for specialized boats. For the last several years Dennis has been on the hunt, to get some of those boats, to open up sailing to the disabled members of our community. Recently, Dennis’ dream has become a reality for the Charlotte Harbor Community Sailing Center. After the 2012 IDFS Disabled Sailing World Championships were held in Charlotte Harbor, Dennis purchased 4 of these boats to open sailing up to the disabled of our community. You can contact the Charlotte County Parks and Recreation, or the County Commission, and express your support, concerns, or general questions. We are currently awaiting the completion of the basin, and the insertion of the floating docks. 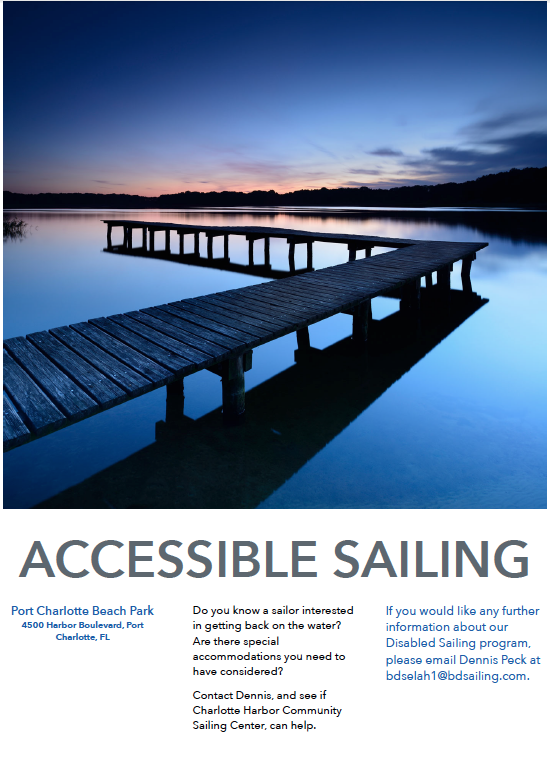 If you would like any further information about our Disabled Sailing program, please email Dennis Peck at bdselah1@bdsailing.com. Or use the contact page to send us an email.